A new gene therapy, designed to teach the body to produce more pain-relieving compounds, could eventually help arthritic dogs and people rely less on pharmaceuticals. Developed by Dr. Linda Watkins, a neuroscience professor at the University of Colorado at Boulder, the therapy now has FDA approval for testing in dogs and people. So far, studies in dogs have been promising. After receiving a single injection, many dogs appear to feel less pain for long periods of time, even up to 18 months. As many as 30 percent of dogs may suffer from arthritis, according to a recent study. And that’s not just among older dogs or large breeds — it’s 30 percent of all dogs from those as young as one year of age to 5-pound mutts to Great Danes. Not only is arthritis painful, it’s progressive, meaning that the condition will grow worse over time. Short of a joint replacement, there’s no cure for arthritis. In some case, owners can help slow the progression of disease in dogs with a combination of pain medications (usually non-steroidal anti-inflammatory drugs, or NSAIDs, which can have side effects), weight control, supplements, physical therapy and low-impact exercise. But eventually, the pain often becomes disabling. Pain has typically been believed to be associated with the nerves that conduct signals in the body. But Dr. Watkins suspected that the glial cells surrounding the nerves play a role in the creation and maintenance of chronic pain as well. In fact, researchers found that glial cells produce inflammatory compounds during times of injury or sickness, creating that “achy” feeling that makes dogs and people rest while the body repairs itself. Once those repairs are made, cells produce a protein called interleukin-10 (IL-10) that suppresses inflammation and pain, so dogs can be back on their feet again. Dr. Watkins believes that in cases of chronic pain, glial cells essentially become stuck in high gear, continuously producing inflammatory compounds. At the same time, cells do not make enough IL-10 to mute the inflammation. That’s why she developed XT-150, a kind of synthetic DNA. When injected into an arthritic joint, XT-150 spurs the cells to produce more of the natural IL-10 to help reduce inflammation and pain. To test her theory, Dr. Watkins teamed up with the Colorado Center for Animal Pain Management in Westminster, Colorado. So far, 40 arthritic dogs at the clinic have received the injection. Not only are many of the dogs showing signs of pain relief, there is some evidence that the injections help modify the arthritic process. The researchers also have not witnessed significant side effects. The initial findings are so positive that the injection is now being tested in humans with advanced knee arthritis in California and Australia. Is it a panacea for painful pets and people? Not yet. The injection may not relieve all pain, so some patients may still need pain medication, although perhaps in smaller quantities and less frequently. Still, more research is needed to make sure the treatment is consistently effective and doesn’t produce significant side effects. 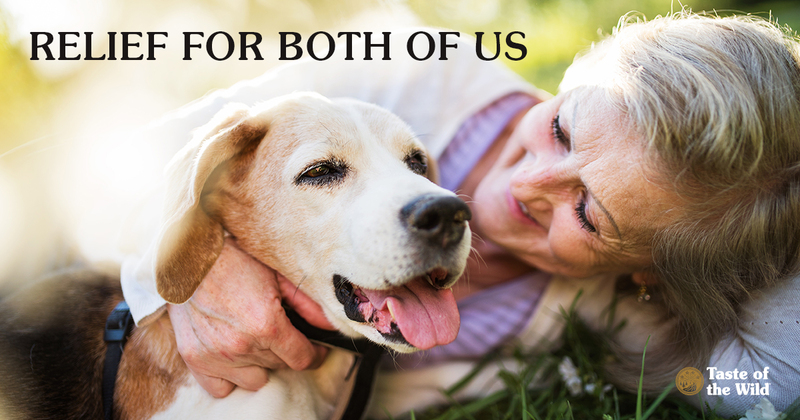 If the trials continue to produce positive results, though, both arthritic dogs and people may eventually feel relief from the same type of treatment.